U.S. Consular Instructions on Applications for I-601 Extreme Hardship Waiver in Certain European Countries. What are Extreme Hardships? Certain foreign nationals may be required to file for a Form I-601 Application for Waiver of Ground of Inadmissibility when applying for immigrant visa at the U.S. Consulate abroad. 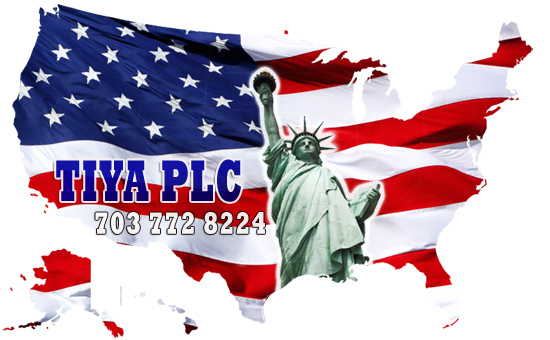 Immigrant visa is one of the processes for obtaining green card status in the United States. An I-601 extreme hardship waiver is required, for example, when an applicant was unlawfully present in the United States for a certain period of time and now has a time bar from re-entering the United States; or has committed certain legal violations. This is not an exhaustive list of examples. There are many unanswered questions to the application process for I-601 extreme hardship waiver. Consistent adjudication, handling and/or processing time, across all adjudication offices abroad for I-601 extreme hardship waiver are often being reviewed by the U.S. immigration branches in their efforts to improve the provision of such immigration service abroad and to promote family unification in the United States, while conforming with due diligence in executing and complying with the U.S. immigration law. 1. Who adjudicate the I-601 extreme hardship waiver applications? The U.S. Citizenship and Immigration Services (USCIS) adjudicate the I-601 cases. The USCIS is a government agency that oversees lawful immigration to and in the United States. The USCIS is a branch of the U.S. Department of Homeland Security (DHS). 2. Where do I submit the I-601 extreme hardship waivers to? For applicants outside the United States, the I-601 extreme hardship waiver applications are submitted at their U.S. Consulate abroad (i.e. the consular section of the U.S. Embassy). The U.S. Consulate reviews the I-601 filings for supporting documentation and then forward them to the appropriate USCIS Field Office. The USCIS Field Office adjudicating the I-601 extreme hardship waiver application is located at the U.S. Embassy in the same or in another country. For applicants residing in European countries such as Denmark, Finland, Iceland, Republic of Ireland, Norway, and Sweden, their I-601 extreme waiver applications are forwarded by their applicable U.S. Consulates to the USCIS Field Office in London, United Kingdom, for adjudication. 3. Where are the I-601 extreme hardship waiver applications adjudicated? For I-601 extreme hardship waivers filed with U.S. Consulates abroad, the USCIS Field Offices for I-601 waivers that are normally located abroad adjudicate them. 4. What documents should the applicants include in the I-601 extreme hardship waiver application package? The London USCIS Field Office has provided, among other things, a checklist and guidance for their I-601 extreme hardship waiver application process. Applicants residing in the United Kingdom are recommended to submit their I-601 extreme waiver application with documentation in certain order. For further detailed instructions, please visit http://london.usembassy.gov/dhs/uscis/ivwaiver.html . 5. What is “extreme hardship”? “Extreme hardship” to qualifying relatives (U.S. citizen or lawful permanent resident relative) in U.S. immigration law requires hardships beyond the normal and usual hardships resulted from family separation. In general, the umbrella factors of “extreme hardships” to “qualifying relative(s)” may include, but are not limited to, medical/health, occupation, education, religion, finance, etc. An I-601 extreme hardship waiver application is adjudicated on a case-by-case and discretionary basis after considering all the circumstances of the case. The U.S. immigration regulations have not defined the criteria of “extreme hardship” for I-601 extreme hardship waiver, and therefore, there are inconsistencies and lack of uniformity on the standards that would sufficiently constitute “extreme hardships” as well as the best materials to provide. Furthermore, the adjudication and grant of a waiver such as an I-601 waiver are inherently highly discretionary. In general, applicants should consult with or seek help from a licensed and experienced U.S. immigration attorney in preparing “extreme hardship” package. 6. How do I check my case status? For I-601 extreme hardship waiver applications being adjudicated by the London USCIS Field Office, the USCIS will notify the applicants with their I-601 receipt numbers which they can then use to track their case status at http://london.usembassy.gov/dhs/uscis/ivwaiver.html . Proposal to Expedite I-601 Extreme Hardship Waiver is Currently Under Review!